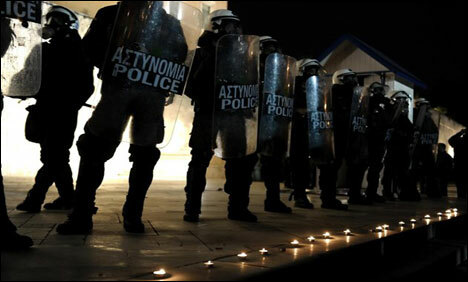 ATHENS: The cash-strapped Greek state is now looking to a new way of raising revenues -- renting out its policemen at an hourly rate of 30 euros, with patrol cars going for 10 euros more. This will "pay for the cost of using police material and infrastructure, and allow to modernise them", the ministry of citizen protection which is in charge of the country's security services said in a statement Sunday. Such police services used in "exceptional cases" such as in escorting the transportation of dangerous material or art works, were previously offered free of charge, said the ministry. But now, hourly fees of 200 euros (260 dollars) will be charged for patrol boats and 1,500 euros for helicopters, according to Sunday newspaper Proto Thema, which revealed the internal reform. The ministry said it would only accept such rentals if they do not affect the security forces' operational capacity.